HOUSTON (KTRK) -- The morning search for 5-year-old Fiona Carroll brought horrible news. 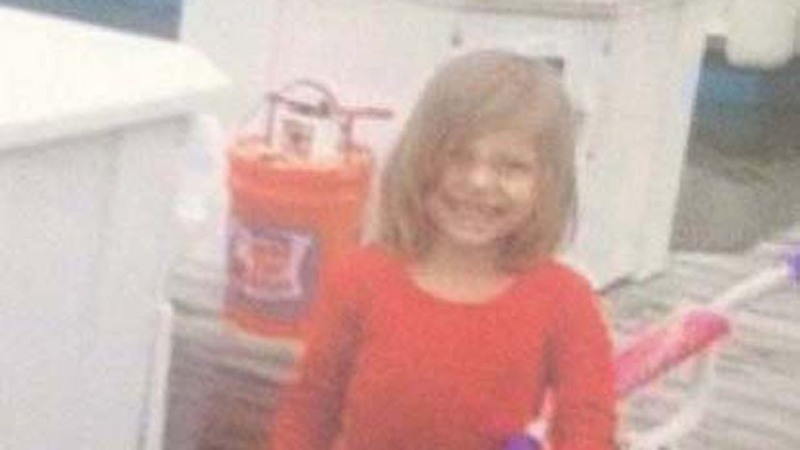 Texas EquuSearch has said the little girl was discovered in 40 feet of water, not far from Dock H where she disappeared around 6pm Wednesday evening. Kemah resident Robin Browning had joined the search. "I was there as the discovery was made," she said. "We just said a prayer a while ago and God's got her now. She's an angel"
Yesterday was Kitty's 5th birthday. She was on the boat with her father when she disappeared. A photo was taken of her on the dock, but later, the bucket she'd been using to wash the boat was with found floating in the water. The Coast Guard searched, along with a law enforcement dive team and Texas EquuSearch, who finally found her using sonar equipment in the murky water. It's A discovery that has touched every parent we talked to today. Kemah resident Sylvia Coronel said, "Just pray for them and hope they have the strength to accept the results."